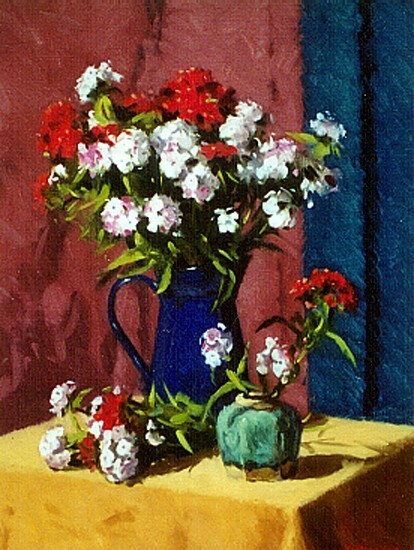 I have conducted painting classes since 1977 catering to adults with a serious interest in exploring the mysteries and disciplines of the craft of oil painting. 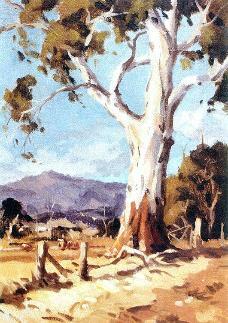 My teaching is based on time honoured principles of traditional methods, techniques and disciplines associated with the history of pictorial realism and the study of natural appearances. Observation is coupled with sound understanding and control of pictorial components of tone, form, colour and edges and the inherent qualities of the medium. Please refer to details of my regular weekly classes and occasional workshops via the pull-down 'Teaching' menu above. apprenticeship, being mechanical as well as intellectual." N.B. Colours listed in bold provide a basic palette. outer edge as in the photograph above. A small bottle of Retouching Varnish is recommended. panels and stretcher bars are mostly still manufactured on that basis. Loose primed canvas (purchased by the metre) to be taped or pinned to a suitable board, preferably Canite. Masonite, Craftwood or MDF may also be used but the board must be light in weight. Commercially prepared painting boards are normally satisfactory for student purposes. Only well established brands should be chosen. A lightweight portable easel (e.g. tripod) is required for class or outdoor use. Preferably wooden. 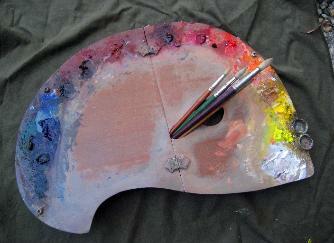 A heavy studio easel is recommended for general painting. Forward tilt facility is essential. Small pieces of clean towelling. Copyright 2012 Paul McDonald Smith. All rights reserved.